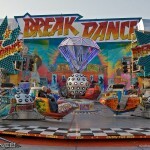 The Breakdance was first manufactured in 1985 based off the Schwartzkopf Calypso. 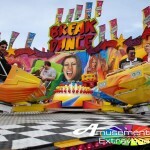 Breakdance was soon a worldwide success, and is now HUSS’s most produced creation with over 110 distributed world wide to showmen and amusement parks. a slight incline of 7.5° to the whole ride structure. multi-directional, variable speed hydraulic drives. ingenious “..obliquely mounted” 360° gondola swivels. The result is a whole new ride sensation creating an infinite possibility of random movement, appealing to riders of all ages, holding an atmosphere of its own. Despite the large size of the ride (20m x 20m), the HUSS ride can be racked on 2 x 40ft trailers, while a Sobema design can fold completely on to a single load. The Breakdance 2 – with 24 gondolas, seating 48 adults, with backdrop and incline. The Breakdance 3 – 16 gondola, 36 seater, no backdrop, with a circular sloping deck. Ie. More compact. While HUSS pioneered the original Breakdance design, it is now copied by almost every manufacturer in the business. OMGosh!! 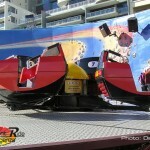 this was the best ride ever!! didnt even make me feel sick!! 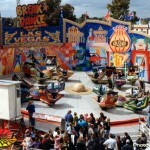 I always wanted to ride a breakdance, or crazydance. This ride often makes me feel a bit dizzy but overall I love it, especially the atmosphere which is electric! This is a great ride! Deggeller had one for about a year and brought it to the Upper SC State Fair, helped set it up, and rode it. Great piece. Shows really need to revisit carrying at least one Huss ride like this because people ride them. 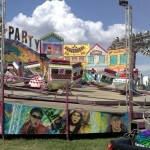 I loved the breakdance ride. I rode it at coney island in 2008 and I had a blast. I live in New York and I would love to know what amusement park in my area features this ride. I went to the New Luna Park coney island and the rides are ok but the new equipment to scan you onto the rides are crap. Security or the lack of is at it’s worst. Too many line jumpers in broad daylight. I went with my children and did not feel safe at all. I’ve been going to Coney Island since the mid to late 60’s and this is the most unsafe that I felt. 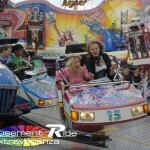 I almost lost my leg DX but the ride was super fun until that happend…. I loved this ride!It was so fun!! !Oh and one to throw your hands in the air!! i rode a ride jut like that! 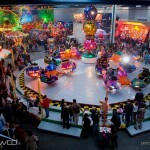 The best ride ever!!! I ride it when i’m in Wildwood! Such a great ride!! 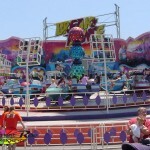 It’s a shame the Morey’s took it out of Wildwood NJ, 1 of the better rides they had down there. i would defintly use this ride in my motion picture. This ride is great to Operate. When operating it in Manual mode you can do what ever when ever. Making the ride unpredictable is more fun and going into top speed for a long time is great too. Watching the faces of the tough man as he tried not to puke on his date. She is calm and relaxed. wonder if they have this at the oc fair? @ Sydney. No. Currently there are no Huss Breakdances traveling in the states. @ Jim about Deggeller. are you sure it was a Huss model and not the Fabbri, SBF model? One reason why shows don’t carry the big Huss pieces anymore. Fuel prices. Yes it was the Huss model, but this was back in the late 80’s, Deggeller only kept it a year and then sold it to a park I heard. It was 3 trailers, but it was a beast to set up. Yeah I hate that the fuel prices have hurt the midways so much (in my opinion). I miss a lot of those big rides. Strates still has the Top Spin (huss) and the Enterprise, but then again he has the train. Drew Expo has a Huss Pirate and Enterprise both without back scenery to reduce loads and set up, tear down time. i see this all the time at the county fairs. you got to ride it in the night if they take care of the lights. then the fun really begins. A homemade HUSS Breakdance ride. If you think this makes you sick try a Huss Booster. theres 4 different versions the regular one breakdance no. 2 which has 6 4-car hubs on the 25 metre platform breakdance 3 which has an 18 metre platform and the slope is changed which does not come with a background and the breakdance 4 also called the rodeo which completely removes the platform the cars are connected to the middle and there is no slope. …the only ride that has ever made me motion sick. I rode this at Lincoln Park in 1987, and felt like crap for the next 2 hours. Still a fond memory, though. The PTN folks consider the full total number of gamers may double in a few years.